In order to facilitate the deployment of detector dog teams, regional Customs set detector dog management centers to provide resting, exercising, training and health care for detector dogs. Taipei Customs Office Detector Dog Management Center is located at Tao Yuan National Airport, with kennels, training classrooms, day yards and handler offices. 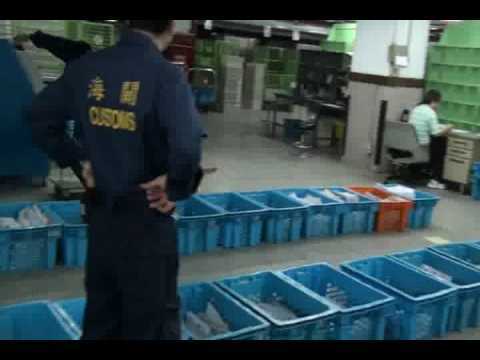 Kaohsiung Customs Office Detector Dog Management Center is located at Yen-Chao Township, Kaohsiung County, with about 0.408 acres in area. Besides the office building, there are kennels, training classrooms, day yards etc. To cope with the increasing amount of its detector dog teams in the future, Kaohsiung Customs Office has taken the land of Feng-Yu military Camp from the army at Xiaogang District, Kaohsiung City, with about 1.63 acres in area. It will be built up as a new detector dog management center to substitute the original and smaller one. Keelung Customs Detector Dog Management Center is located in Shiang-Feng street with kennels, day yards and handler offices. Taichung Customs Detector Dog Management Center is located at TCS Detector Dog Breeding and Training Center (DDB&TC), with the office building, kennels and day yards provided by DDB&TC. ● Deployment Areas：airports, seaports, container yards, bonded warehouses, express areas and postal environments. 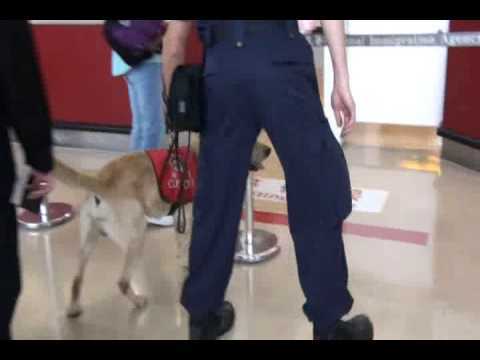 ● There are 8~12 hours shift that detector dog teams carry out their duty. Besides the routine Proficiency Maintenance Training (PMT), they also conduct irregular and non-designated investigation on high-risk flight, passengers, vessels, import and export cargoes (containers), express cargoes and parcels by utilizing risk management and intelligence analysis. ● To meet its operational needs, the Detector Dog Breeding and Training Center can overall deploy the detector dog teams among regional Customs Offices to support drug detection.